My fellow urbanists, egalitarians, explorers, those of you who believe in a world fuelled by clean, renewable energy and cities that nurture quality life for all; this was the best summer school of my entire education. Plus, Delft is a magical city; beauty to inspire. I have been sharing this at y school with a lot of passion. I still go through my sketches and pictures and get a lot of goose bumps. I confess that this memory drives me every day! “10 days at TU Delft ? I had not expected how interesting my time at Planning and Design with Water would be! Activities were all amazing and I learned a lot ! In only 10 days, I was able to understand how a totally complex country works in its best with water and also how can innovation, ecology , water and infrastructure can bond ! Coming from a small country as Albania , I have met a lot of different students from all around the world, such a friendly environment ! If it was possible , I would love to enrol in this Summer School again and again. Thank you TU Delft for one of the best experiences in my life !” Merita Kuka, Polytechnic University of Tirana Planning and design with water 2016 , TU Delft. “The Summer School at TU DELFT, was a great Journey, I mean Journey in terms of 10 days of new experiences, achievements, knowledge, making friendships, fun and enjoyment, discovering a new city and a new lifestyle….that was a challenge which gave me the chance of learning, practicing, listening to new ideas, meanwhile enjoying to think freely while making a creative project. I enjoyed a lot during the summer school and I would never forget that days. I recommend surely not to miss a big chance to have an experience which is totally different of all projects during university period. That’s not only the lessons of planning and design, but also you would learn the lessons of life and being happy”. Alice Dixon (Canada, activist) “Due to the effects of climate change, cities around the world are now having to engage with water infrastructure techniques to mitigate flooding. 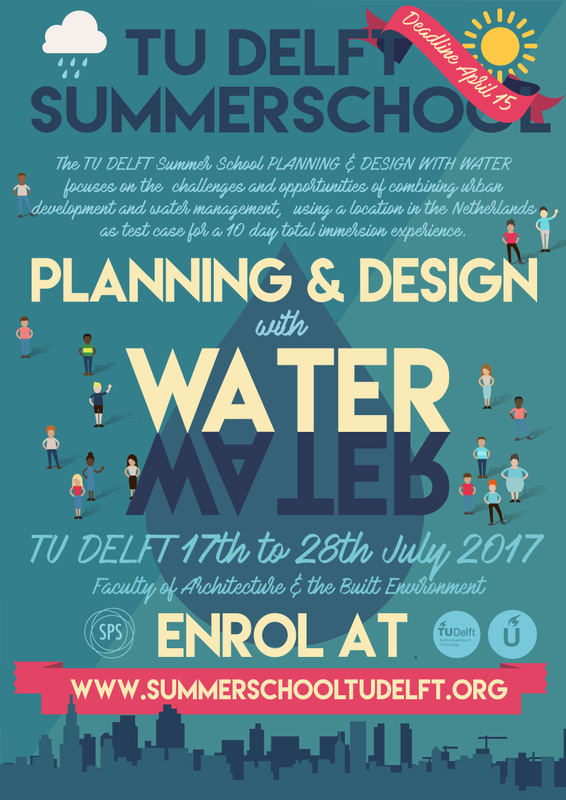 While many cities in North America are now beginning to implement flood prevention measures, such measures have been used and refined by the Dutch for centuries, and thus training in the Planning and Design with Water program at TU Delft comes with the expertise and prestige of Dutch subject matter experts. I noted a water infrastructure project in Netherlands I learned about at TU Delft two years ago being referenced at a conference I attended last week, and I am often one of the few people in design charrettes bringing urban water design techniques to the table. 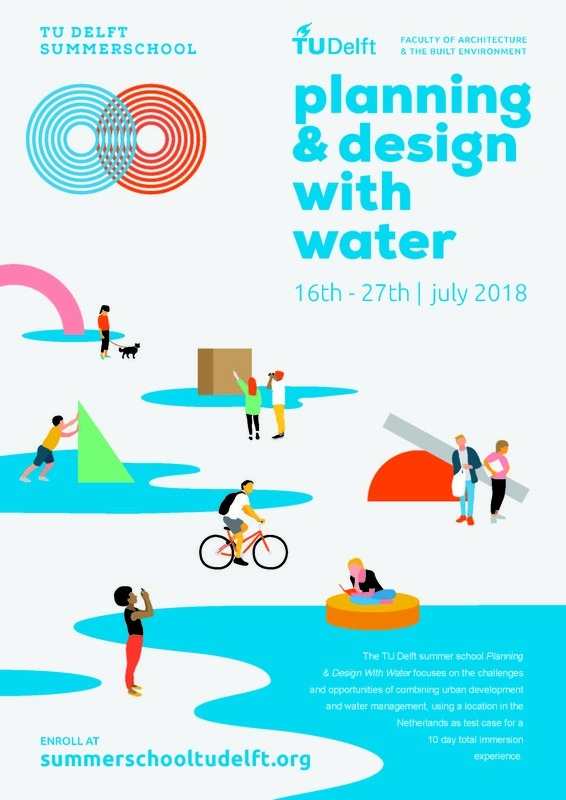 TU Delft’s program definitely helped put me ahead of the curve when it comes to planning and designing with water to support the creation of spaces that are more resilient to the effects of climate change”.